Mercedes-Benz has just filed multiple trademarks, prior to launching vehicles under the EQ sub-brand. EQA 200, EQA 250, EQA 260 and so on have been registered in Canada. The EQA will come in the shape of an electric hatchback, previewed by the concept with the same name. The carmaker has also trademarked the EQB 200, EQB 250, EQB 260, EQB 300, EQB 320, EQB 350 and EQB 360, but provided no information on what the EQB might be. The EQC though, will be a crossover set to make its debut this year, at the Paris Motor Show, and scheduled to go on sale early next year, with the numerical indicator differentiating the variants from one another. It is still uncertain if the figures following the EQC designation will refer to the battery size or to the power output. Mercedes-Benz also trademarked the EQE, EQG and EQS designations in the United Kingdom back in 2016, with the Generation EQ, EQ Boost and EQ Inside names being reserved as well by the premium car maker. 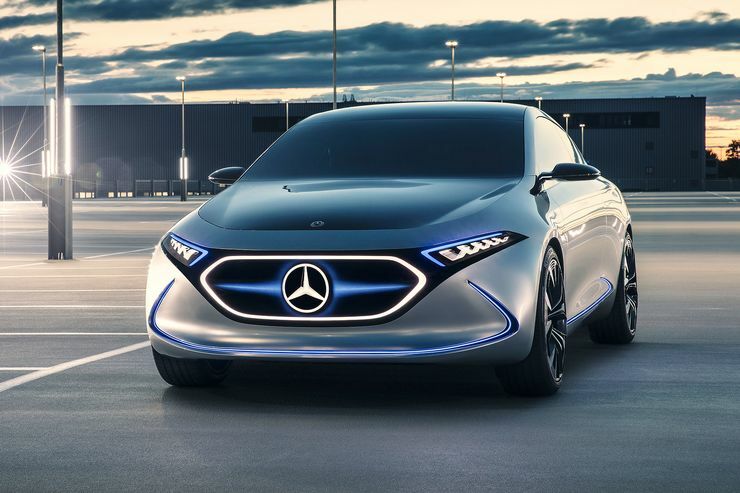 Autocar magazine speculates that the EQA will come in the shape of an all-electric A-Class, while the EQ will be an electric S-Class. The Generation EQ eventually turned out to be a concept crossover, while the EQ Boost designation has been used for the 48-volt starter-alternator that is already being in use on the company’s plug-in hybrid cars. All of these monikers had also been registered in China back in the spring of 2017.